February is Snack Food Month and we’ve put together a list of our Top 5 Tropical Treats just in time for the occasion. 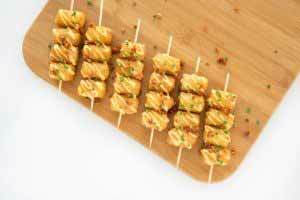 Sweet and Savory: the perfect combination to satisfy that snack food craving. Nachos with a twist! 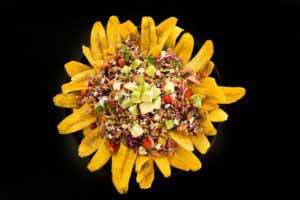 Substitute those corn tortilla chips for some crispy plantain strips for a sturdier nacho platter. 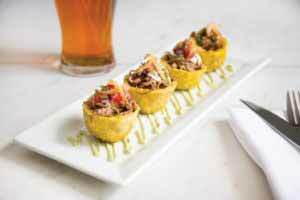 Think tostones, but better! Plantain toston cups are the perfect bite-sized dish that can be filled with your favorite toppings. Step aside tater tots, here come yuca tots! There’s a new root vegetable in town, and like potatoes, it offers endless possibilities. 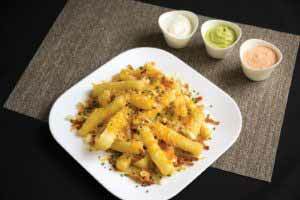 Fried or baked, mashed or boiled: no matter how it’s prepared, yuca is a delicious and welcomed alternative to potatoes and with the added appeal of tropical nutriment and taste, this versatile vegetable is simply irresistible. We hope you enjoyed these tropical treat recipes! If you decide to try your hand at one of these delicious snacks, make sure to tag us (@micfood) on Instagram or Facebook so we can see what you came up with! 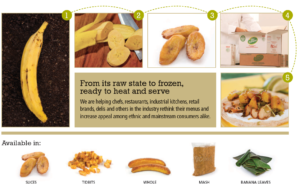 Ready to try Big Banana® by MIC Food? 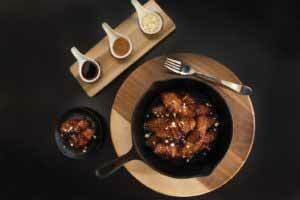 Contact our sales team and request samples today! 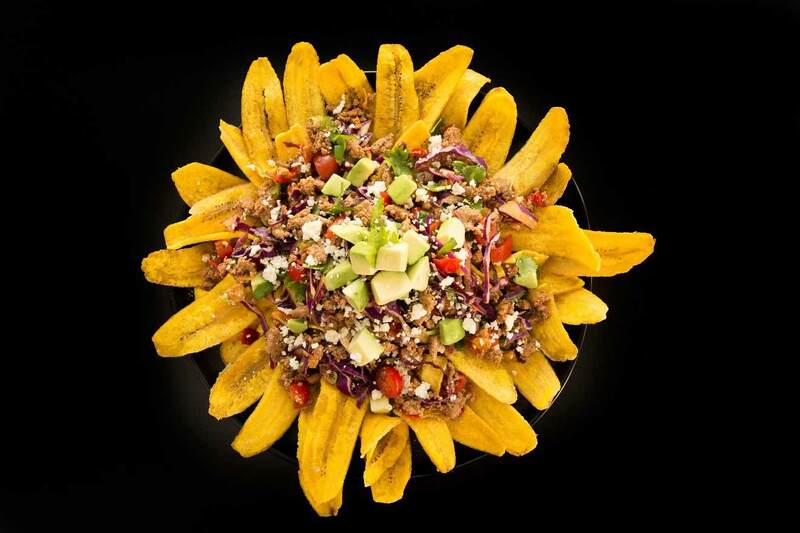 Or Ask Our Chef about how you can incorporate plantains into your menu!